For 7 years in Perth, my family and I have been patronising Thai Corner. Yep, we live north of the river and for good food, one must be willing to travel. On a Saturday night after church, we decided to head to Thai Corner for dinner and to get some fix on some decent Thai food. We were very lucky considering that we did not make any booking prior to coming to Thai Corner as the restaurant was busy. Judging from the awards hanging on the walls on every corner of the restaurant, that shows how good the food at Thai Corner is. 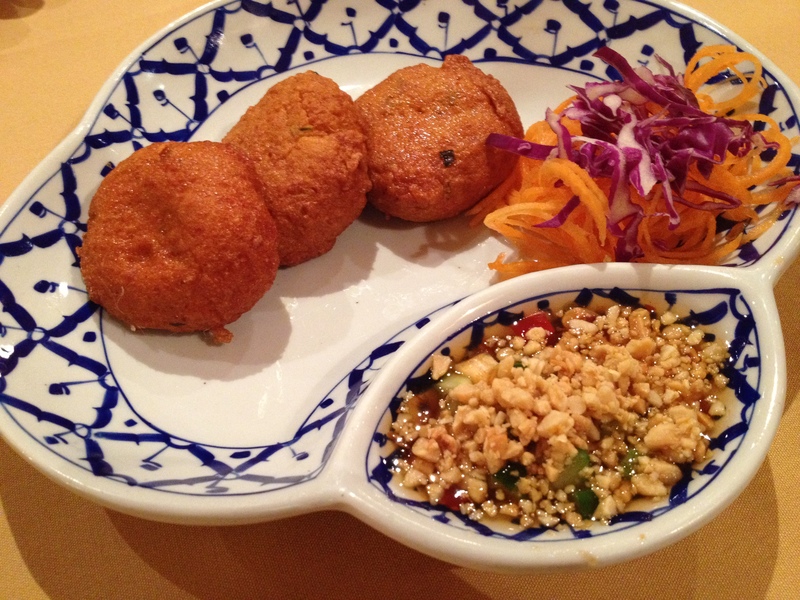 To start off, we had some Thai fish cakes and the clear Tom Yum soup. The fish cakes were stuffed generously with fish paste and was cooked perfectly. Dipping it with sweet chili sauce gives a bit of tang to it. 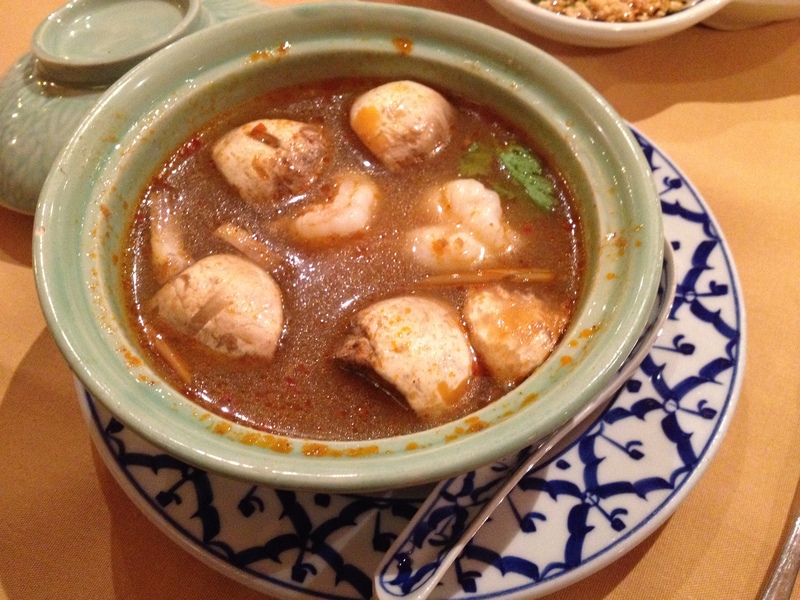 I am a big fan of Tom Yum soup and it is one of my comfort food. The Tom Yum soup was spicy and yet sour, giving it a good kick. If it was still winter, it will be perfect! 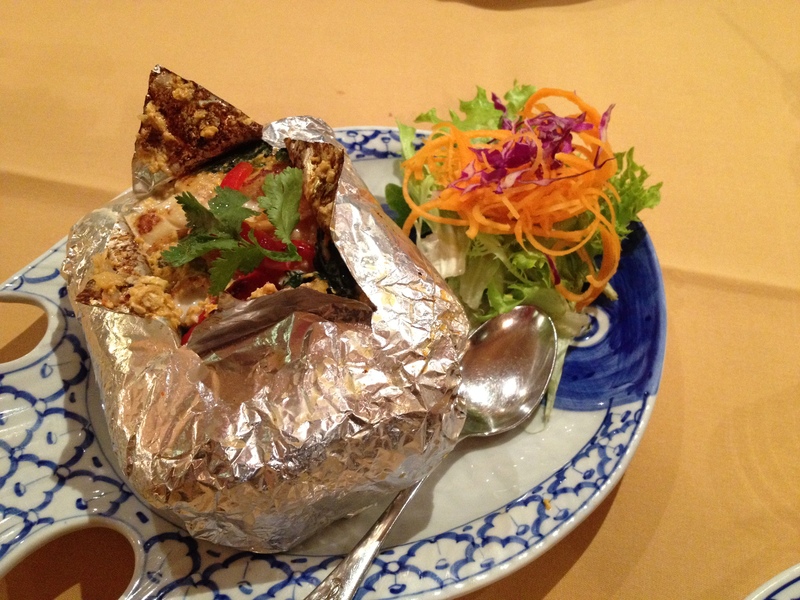 For our mains, we had the Grilled Seafood Curry consisting of Prawns, squid, mussels and scallops in coconut milk, fish sauce & egg wrapped in foil & grilled. There is an abundance of seafood in the curry and it was very delicious. It was not extremely spicy and I was able to tolerate the level of spicy-ness in the curry. We also had the fried spatchcock and an omelette. The spatchcock was very crispy and it was finger licking good. A crunch is definitely heard with each bite. The omelette was fluffy and was cooked to perfection. To finish off our dinner, we decided to share a dessert. We had the Tub Tim Krob. 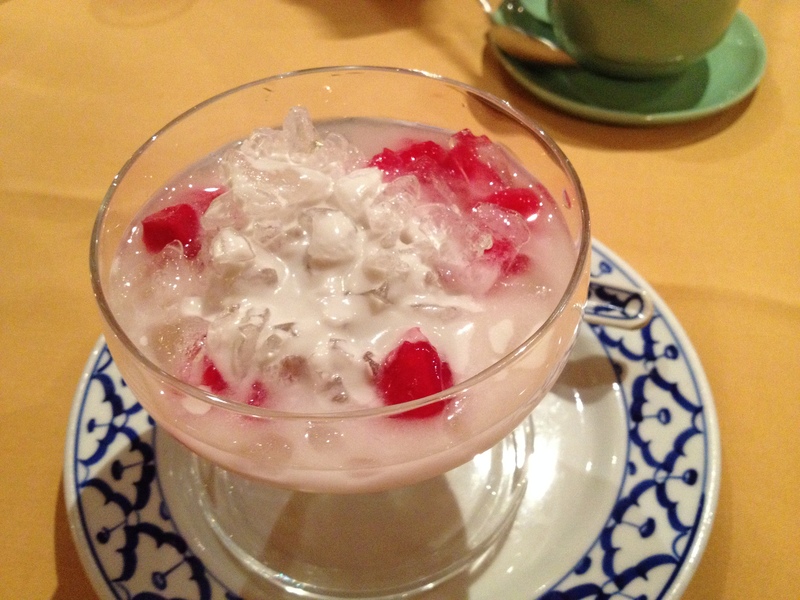 Tub Tim Krob is a traditional Thai dessert which consists of water chestnuts served with crushed ice and coconut cream. It was the perfect dessert to have after the curries and the tom yum soup as it was very refreshing and not overly sweet. It was a very filling dinner considering that we shared the dishes. We were very satisfied indeed. 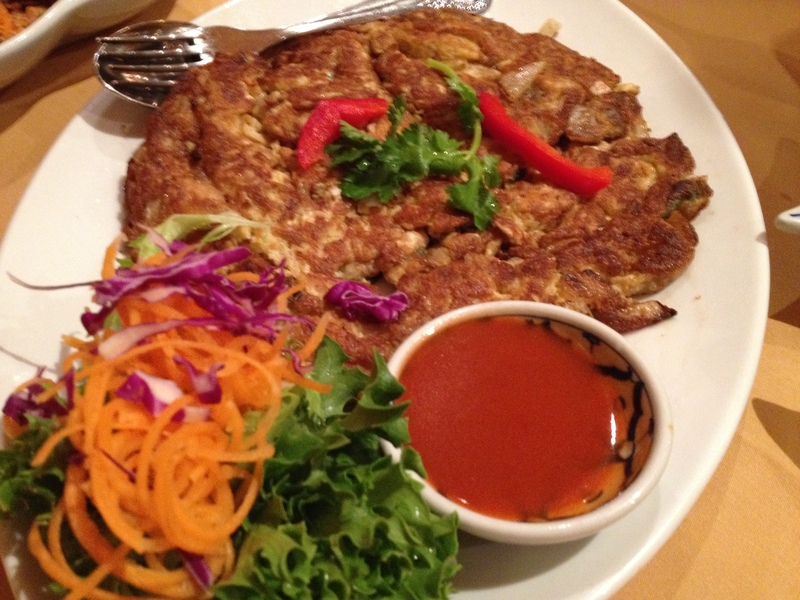 Overall, we enjoyed our food at Thai Corner and the service was excellent. 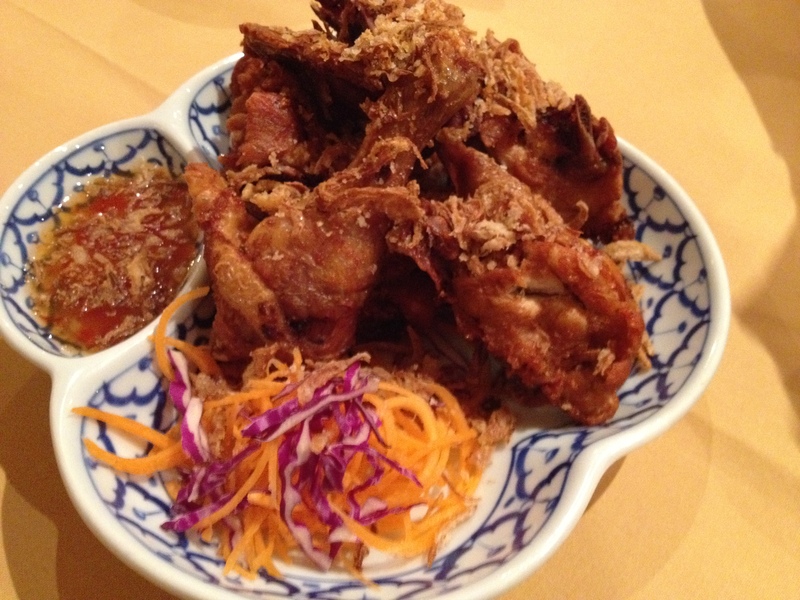 Although I am still looking for other good Thai restaurants around Perth, we will still continue to patronise Thai Corner. Next Next post: Happy 8th Birthday Appliances Online!